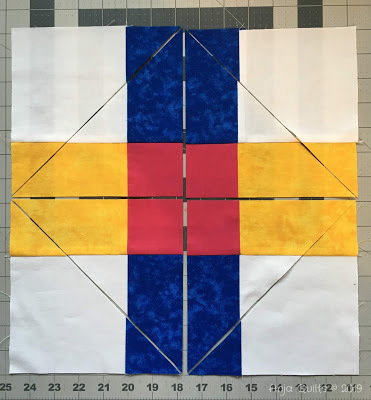 It’s all about playing with blocks – making a block, slicing it up, and turning or repositioning the pieces to make a completely different block (sometimes two smaller blocks) to yield endless quilt tops. Teresa is hosting a blog hop from January 28 through to February 9. I'll be showing my project on February 8. 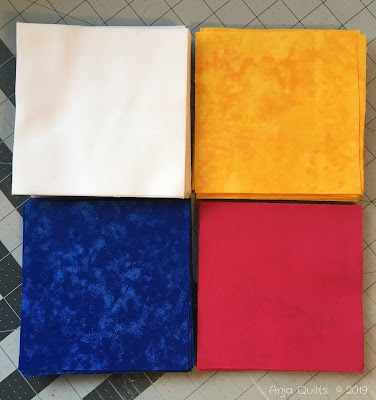 I started with 5-inch blocks in four colours. 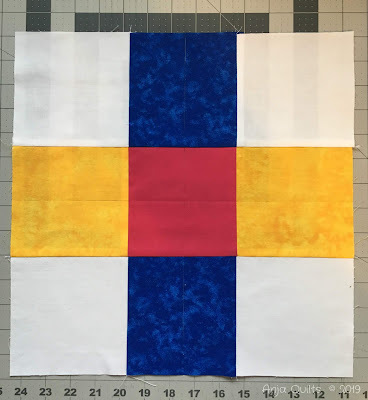 The blocks were sewn into 9-patch blocks. 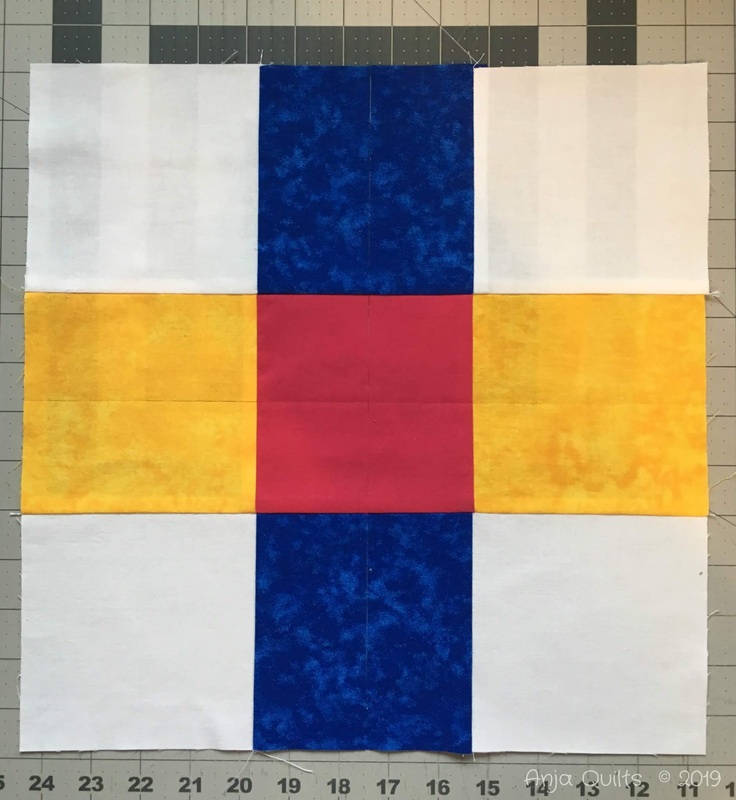 And then the block is cut in half horizontally and vertically, and then each of the four quadrants is cut in half on the diagonal. 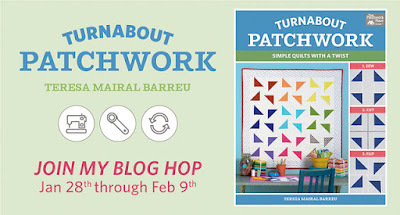 I'll share the blog hop schedule later in the month. Oh, oh ... I'm looking forward to seeing what you make with those bits! That's a great looking start! I've started my blocks, too, but managed to sew the last seam wrong the other night (on all the blocks! ), so that has to be resewn before I can slice the blocks apart again. I'm looking forward to the hop! this is exciting. I love this sort of block, amongst my favourites are disappearing 9 patch. You have me... I can't wait to see what happens next! Ohh this looks interesting. I can't wait to see how these turn out. This certainly looks intriguing- an extension of the disappearing four or nine patch blocks! February is a long time to wait but I’m intrigued and looking forward to your reveal. Seeing Jenny do this on Missouri Star has intrigued me from the get-go, so I'll be watching to see what magic you do with this! Interesting! I will be back to see what you have done!